Is This Year Our Year? A phrase a Liverpool fan can’t go a week without hearing, whether by a fellow supporter or from a mocking rival. It’s been uttered repeatedly since 1990 and and gained a somewhat infamous reputation in the football community. The seriousness depending on the form of the Liverpool team of the time; from in 2009 and 2014 when the prospect seemed realistic to when Hodgson sucked all the hope out of the club and it once again became a joke. However something seems different about this year. It’s in all of our heads. Has the hype train arrived again? Will it reach its destination for the first time in nearly 30 years? Is this year, our year? Before we get ahead of ourselves it’s important to remember that this article has been written quite a few times before. Every other year when there’s seemed even a glimmer of hope, the most optimistic of us jump to this stance immediately and start singing the songs like the league’s already won. Only for it to ultimately slip away, every time. That’s not what i’m doing here. I’m only assessing the actual possibility of it happening and whether it is even likely to happen at all. Now that’s out of the way, lets get to it. 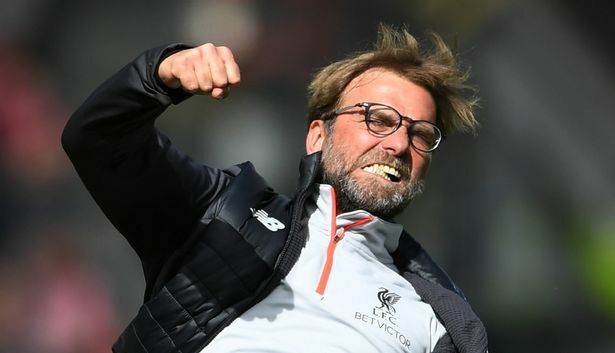 Jurgen Klopp has not led Liverpool to a single defeat so far this season. Not only that, but not a single draw either. This is already a huge improvement on last season as too many draws is what led Liverpool to a slightly underwhelming 4th place finish last season. So far they have won 3 games by only 1 goal, something that the Liverpool of last season found all but foreign; as it was a common trait of them to forfeit leads in the closing minutes of games. A huge part of this development is down to a huge improvement of the defensive ability of Liverpool and one man plays more of a role in that than anyone else. Virgil van Dijk. The most expensive the defender in world football. Signed by Liverpool in the January transfer window of last year and was revealed in late December as a Christmas present to fans around the world. Since he joined in January no team in the premier league has had more clean sheets than Liverpool. However it isn’t just a one man show back there as a few other changes helped improve the back line. Andy Robertson has been a revolution at the left back position with his uncanny ability to cover every inch of the pitch and whip the ball into the box at a great quality is what Liverpool has lacked for years. Also at the start of this season Joe Gomez has become the regular starter along side van Dijk and has looked as every bit the same quality as his partner, managing to keep some of the best attackers in the world at bay. Finally on to young Trent at right back. A local lad who has been at the club since age 6 has made his name one of the first on the team sheet. Showing more skill every week and keeping both the most expensive player in the world in Neymar, and Cristiano Ronaldo in his back pocket. Onto the midfield. Klopp has made significant investment in the midfield over summer with the signings of Naby Keita and Fabinho. The later is yet to make a start and Keita has showed a lot of promise when he has played but the biggest development has been from the players already at the club. Firstly Georginio Wijnaldum who since joining the club has been relatively average has stepped up his game massively. He has been dominating the centre and even finally broke his curse of not scoring away goals with a crucial goal against Spurs. However the true revolution has been no other than the 32 year old James Milner who seems to get better every year he grows older. In every single game up to now he is never far away in anyone’s mind from a man of the match performance; and on a pitch with one of the best squads in the world (PSG) was undoubtedly the stand out player. Finally moving on to the crown jewel of the team. Mane, Salah and Firmino. Arguably the best front 3 in the world, these three bring a nightmare of raw pace and skill to any defender that they face and score more goals than any other trio in the Premier league. Overall they haven’t developed much from last season but that’s not necessarily a bad thing as they were already among the worlds elite. One development however is the absolute steal of a purchase of Xherdan Shaqiri from the relegated Stoke acting as cover for the wingers when the fixtures are abundant and brakes are few and far between. Overall things are looking very promising for Liverpool this season. A great squad with quality depth. An experienced manager who has the love, support and belief from both fans and players. As long as there are no slips; this year could very well, be our year. And we’re back: all you need to know at the beginning of the new Premier League Season.